F&W’s Christine Quinlan uncovers over-the-top, and spectacular gifts. NYC restaurateur Donna Lennard, and her husband, Luca Boniciolli, a world-class ski instructor, will lead one-of-a-kind trips to Courchevel in the French Alps. 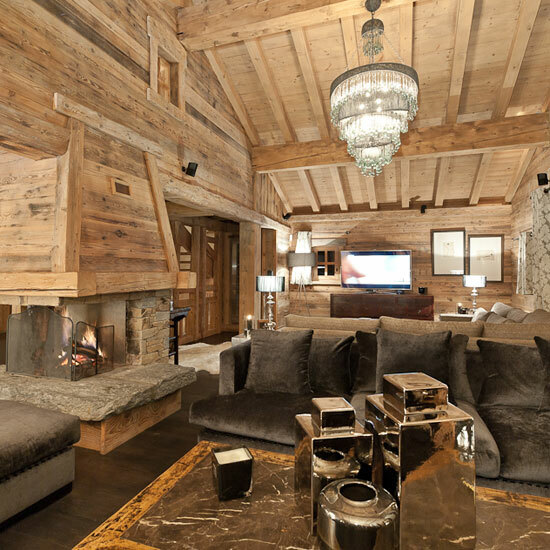 Available in one-week bookings from January through March 2013, guests will stay in luxury chalets where il Buco chef Joel Hough or il Buco Alimentari & Vineria chef Justin Smillie will prepare meals. Wine directors Paul Lang or Roberto Paris will provide wine pairings and host tastings. Itineraries can be customized with activities that include yoga, skiing and private tours with Boniciolli. Contact Michelle Lehmann at michelle@mlc-pr.com. Interior designer Brad Ford created this limited-edition wood-paneled trailer for Neiman Marcus’s annual holiday fantasy catalog. The wood detailing is handcrafted from reclaimed bourbon casks from Bulleit Distilling, in Lawrenceburg, Kentucky. 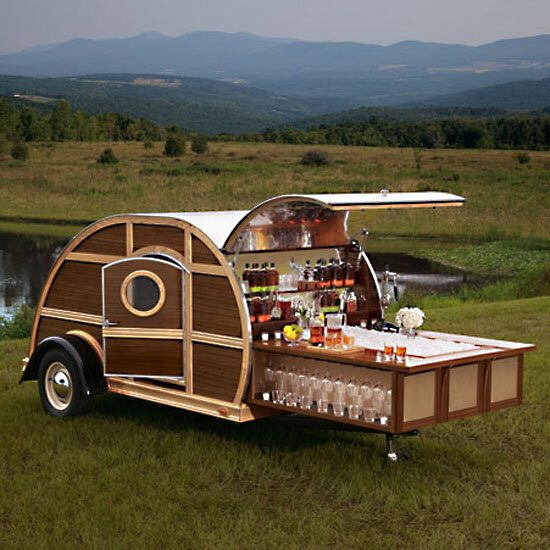 The trailer is built with tailgating in mind: It has a slide-out bar, a Sony flat-screen TV and sound system, and it comes with a one-year supply of Bulleit bourbon and rye. Ten percent of the proceeds will go to amfAR, The Foundation for AIDS Research. neimanmarcus.com or call 877-9NM-GIFT. 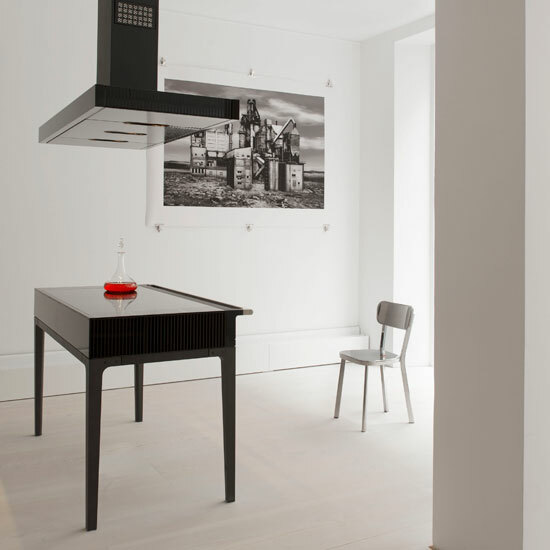 Developed in collaboration with French architect and designer Jean-Michel Wilmotte, La Cornue’s W collection blends the company’s traditional workmanship with Wilmotte’s modern design aesthetic. The sleek four-burner induction cooktop and workspace is handmade from Vitroceramic, tempered glass and cast aluminum, and looks more like a beautiful piece of furniture than a stove. It’s currently available in Europe and should be on sale in the US in 2013. lacornueusa.com. Too many bad late-night cups of coffee brought engineers from Apple and NASA together to create a high-tech solution. This coffeemaker, about the size of a desktop computer, measures the water’s heat to maintain the optimal brewing temperature for different types of beans. It has a built-in camera to scan QR codes on bags from high-end roasters that the company is working with; it is also Wi-Fi enabled so users can download recipes and monitor the machine remotely. Wooden side panels are available in mahogany, walnut, sapele, teak or zebrawood, as well as in custom materials. blossomcoffee.com. 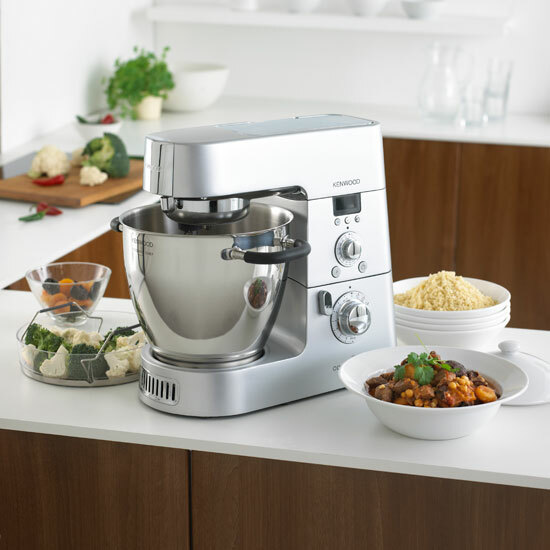 The ultimate multitasker, this combination stand mixer, food processor and blender also has a built-in induction heating plate to cook food directly in the bowl. It makes risotto in just 18 minutes, while stirring itself. The 7-quart bowl also has a steam basket for vegetables and seafood. 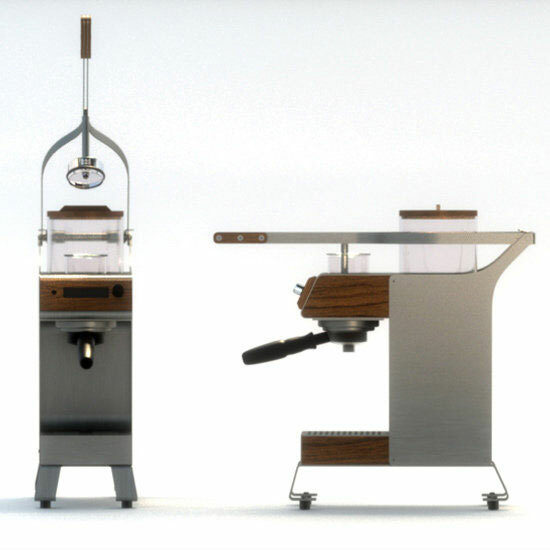 Made in the UK, the machine has been popular in Europe for some time, and is newly available in the US. williams-sonoma.com. For the Francophile who covets the country lifestyle, St-Germain has designed a bicycle reminiscent of ’50s and ’60s French country bikes. 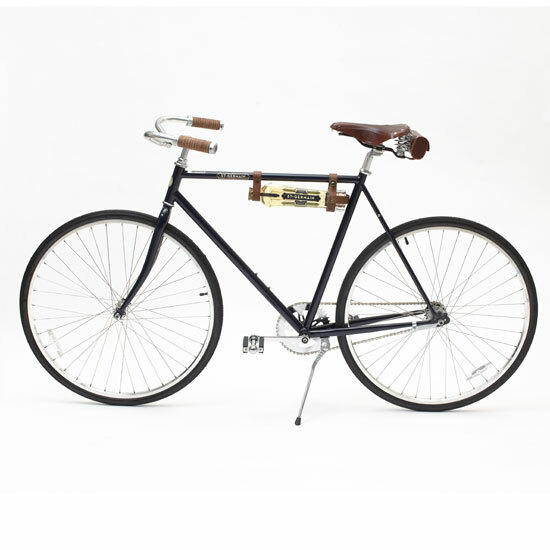 These limited-edition models honor the farmers in the French Alps who harvest elderflowers by hand for St-Germain’s liqueur, then transport the blossoms on bicycles. With picnics and cocktails in mind, they’ve added an orange leather bottle holder to the bike. stgermaincollection.com. Chef Thomas Keller’s Champagne and caviar courses at his famed Napa Valley restaurant are legendary. Now he’s created a portable pairing set with products from some of his favorite California producers. 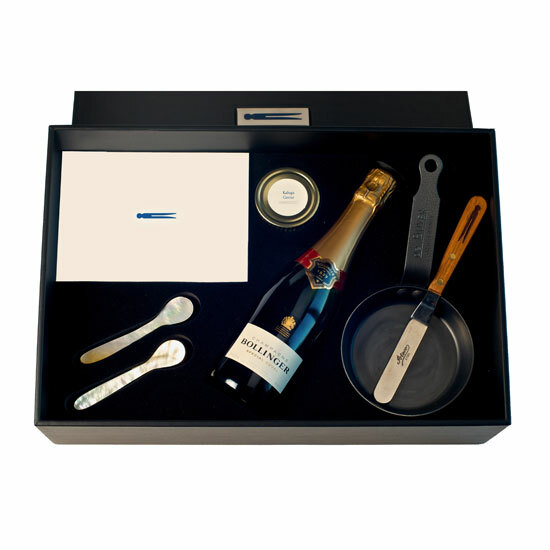 It includes two ounces of Sterling White Sturgeon Caviar, a bottle of Schramsberg Blanc de Blancs Brut sparkling wine, a buckwheat blini mix prepared by the French Laundry kitchen and two mother-of-pearl caviar spoons. tkrg.com. 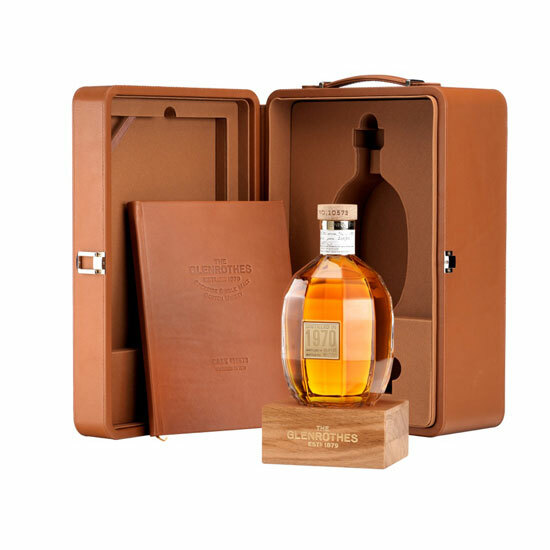 The Glenrothes has incredibly high standards for its whisky and, as a result, has only released a small number of vintages since they first began selling, in 1879. The Extraordinary, a new Scotch whisky from a single cask that yielded just 179 bottles, was distilled in July 1970 and bottled in April of this year. It comes in a hand-blown lead crystal bottle, with a brass plaque engraved with the year of distillation and the bottle number. theglenrothes.com. 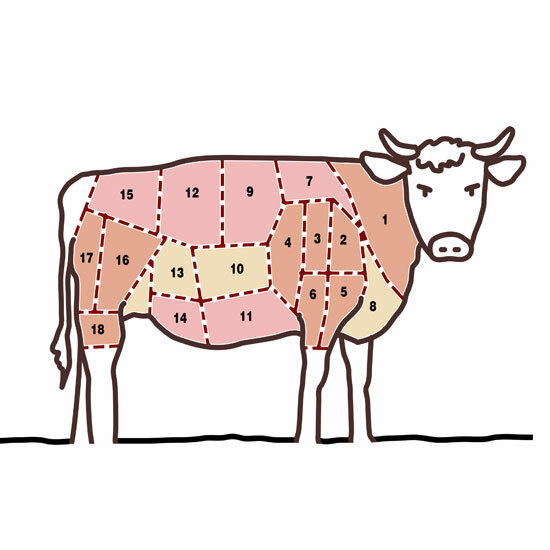 Many farmers will sell whole or half animals to customers, the ultimate gift for locavores focused on where their food comes from. The cost per pound and fee for breaking down an animal varies slightly from farm to farm, but is typically around $4 per pound. Of course, you’ll probably have to come up with another $3,000 or so to buy a large freezer to store all of the meat. To find farms, go to eatwild.com. 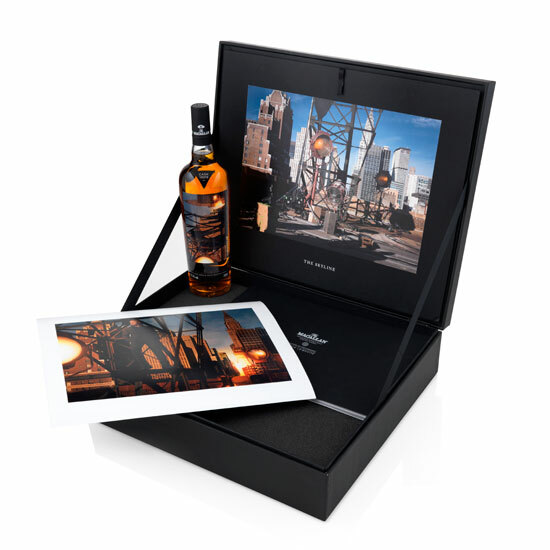 The Macallan has released four unique single malt Scotches in 1,000 limited-edition bottles with photographs by Annie Leibovitz for their Masters of Photography series. Inspired by New York scenes, each of the single cask series—The Library, The Gallery, The Skyline and The Bar—has a distinctive flavor profile and a unique photograph on the bottle. themacallan.com.